This week on our Mums Who Inspire series, we chat with Claire Jakstas, mum, graphic designer and creator of The Body Brush. If you have a story that you would like to be featured, email mumswhoinspire[at]magicmum[dot]com. When Claire Jakstas moved to Dublin from Melbourne in 2004, she had only been planning to stay a year. Now, 14 years on, she lives in Dublin with her husband, two businesses and three children. "We'd always planned on going back to Australia, but you know how life happens," she said, speaking to Magicmum. After waitressing and going back to college to study Sociology and Film Studies, she still wasn't sure what she wanted to do. "At that time I had the kids and it was all doom and gloom when the recession hit. I went back to study graphic design again in the evenings while my youngest was still tiny. "I remember walking around the library looking for printers with a baby in my arms." She knew she needed a big break, so she created one for herself. “I didn't want to start as an intern and have to work my way up. So I figured that I would start my own business." It was not a decision she made lightly, setting up her own business was a hard slog at first. “It takes a lot of work to get a business up and running. The most important thing is to take breaks away from it every now and then. It’s time consuming but amazing. At the same time, Claire kept up with her sister Bec, who was working on yachts in the Mediterranean. Due to the demanding hours and nature of her job, she was "wrecked". Similarly juggling career and family life, Claire could relate to being over-worked. Meeting in Dublin cafe, they began discussing the importance of making time for self-care rituals. In today's busy world, how could they encourage self-care? Bec had the answer; morning rituals. A fan of holistic living, she practises morning rituals as a key to a calmer day. So they thought, why not create a product that not only promoted self-care, but was also good for the environment? Thus the Stass & Co Body Brush was born. It was an idea that took them to Bali. Claire and her family took up a villa, the kids played in the sun while she and Bec worked on their product idea. 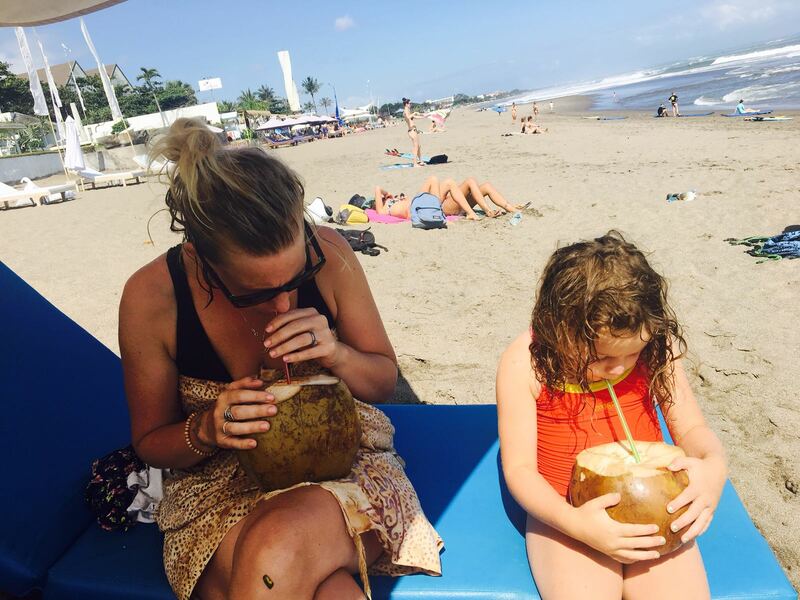 "Bec had been living in Bali for a year and knew many of the locals so we always had friends. We had a local childminder come most days so Bec and I could go down to the cafe and work on the project. The kids loved it out there as well. No hints of family feuds here, when it comes to working with her sister Claire only has positive things to say. “We’re best friends. We talk for an hour on the phone every morning to sort out what’s going on. We kind of fell into our roles. Bec is super-organised and is really good at going out and making new contacts. I’m much more the creative sides of things." She also cites an other member of her family as being a massive influence on the brush- their father. “Our Dad was a keen fisherman, but I think that he was a bit of a conservationist at heart. Growing up it was very minimal living, he really ingrained in us the importance of treating the planet well." 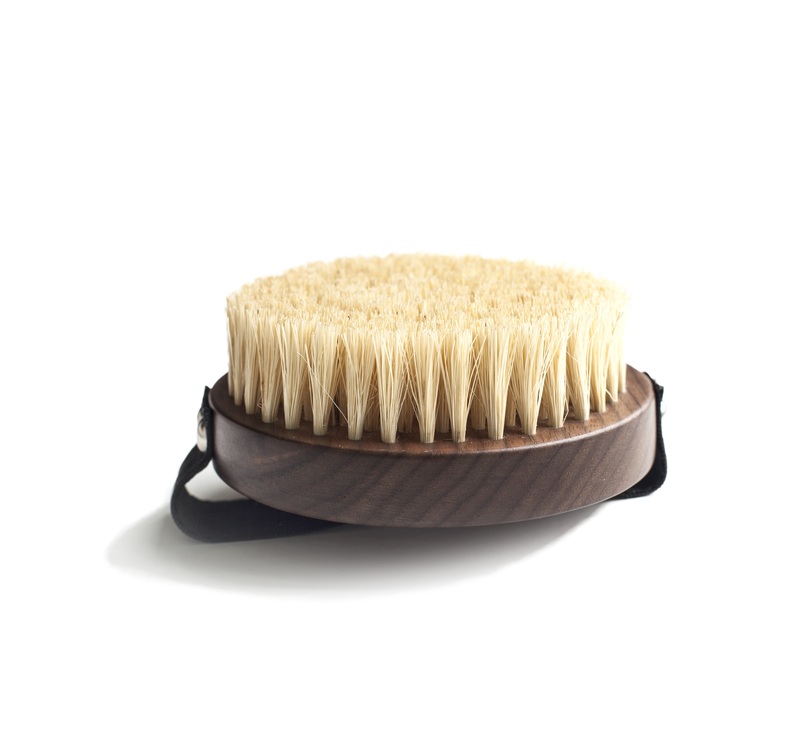 The Body Brush doesn't contain any single-use plastic. “There’s so much unnecessary waste we create each day. We even try to avoid unnecessary plastic waste in the house. We’re no angels but we do our best. “Bio-plastics are not as good as they’re made out to be. They just break down into the ocean and get eaten by the smallest sea creatures and end up back in our food chain. “The planet really is in crises right now. People need to be educated about plastic waste. “Even in the health industries. Although they claim to be all natural. It doesn't have to come in a plastic tube." She's delighted to now be platform for raising awareness about this important environmental issue. 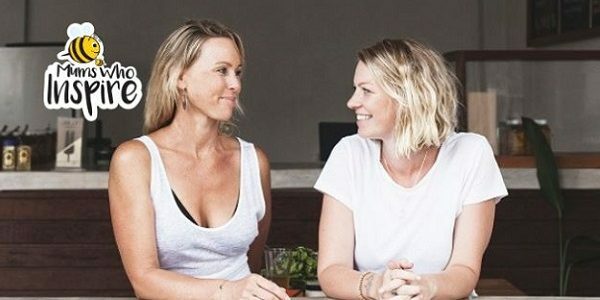 When it comes to striking out on their own, she advises other mums with ideas to take the plunge. “Go for it. Find something that you’re passionate about. If you really love doing something doors will open up for you. Once you’re aligned with your authentic self things will fall into place. “Don’t be discouraged if it doesn't take off straight away. Do things your own way." You can see more about Stass &Co here or follow them on Instagram.